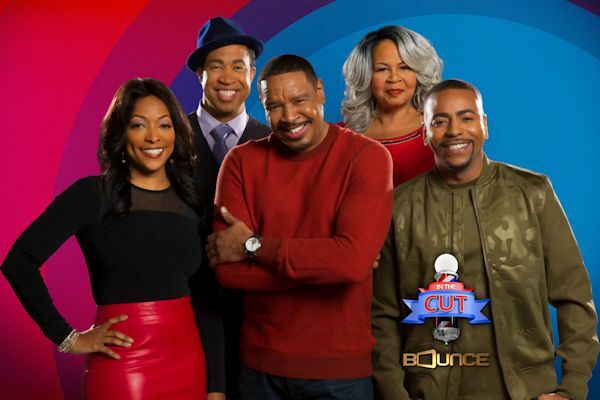 Bounce will double the laughs by kicking off season three of its hit multi-camera sitcom In The Cut starring Dorien Wilson and Kellita Smith with two new original episodes back-to-back 9:00-10:00 pm. (ET) on Tues. July 11. All-new In The Cut episodes will continue to premiere Tuesday nights at 9:00 pm (ET) through the summer. Bounce also announced that Ed Gordon will host a star-packed special featuring interviews with the biggest African-American celebrities in movies, television and comedy today, including Queen Latifah, Jada Pinkett Smith, Michael Strahan, Omari Hardwick and Cedric the Entertainer, which will world premiere on Mon. July 17 at 10:00 p.m. (ET). Coming off its highly-rated second season, In The Cut stars Wilson (The Parkers, Dream On) as Jay Weaver, an accomplished entrepreneur and barbershop owner who is kept on his toes by Cheryl, played by Smith (The Bernie Mac Show, The First Family), the co-owner of the beauty salon next store and his love interest. Ken Lawson (The Parkers) returns as Jay's 32-year old illegitimate son from a short-lived fling now in on the family business as does John Marshall Jones (The Smart Guy) as fellow barber and pal Smitty. Among this season's storylines: Social media pressures, positive pregnancy tests, old grudges, evading the government, a special engagement and much more. Guest stars include Tamar Braxton, Ed Lover, DC Young Fly, Cocoa Brown, Nephue Tommy, Marques Houston and Earthquake. Crackle's new original drama The Oath is set to debut in 2018. Katrina Law (Training Day) joins as Karen Beach, a police officer, and the sole female member of the Ravens cop gang, who has tendency to overcompensate by out-toughing the macho company she runs with and gets involved in a forbidden love affair with a member of a rival cop gang. Law joins the previously announced members of the ensemble: Ryan Kwanten (True Blood), Cory Hardrict (American Sniper, Gran Torino), Arlen Escarpeta (The Magicians) and Game of Thrones alum, Sean Bean. Created by Joe Halpin (Hawaii Five-O, Secrets and Lies), who worked as a Los Angeles County Sheriff's Department deputy in South Central for 17 years, 12 of which as an undercover officer, the series takes an unforgiving look at the complicated dynamics in these organizations and documents the lives of those willing to risk it all, to have it all. The gritty, action-packed drama, explores a world of gangs made up of those sworn to protect and defend and sheds light on corrupt and secret societies that are nearly impossible to join - only a select few make the cut-but once inside, members will do what they must to protect each other from enemies on the outside and from within their own ranks.